To go through life as a professing believer without taking in the Word of God is like trying to drive across the country without a road. You won’t make it. It’s like saying, “I’m not really interested in God at all.” People who don’t have any interest in God, sadly, go to hell. You must have Bible intake. You may get it from the ears if you cannot get it with the eyes. And if you can’t get it with either, you can get it with the fingers, by Braille. And if you cannot get it any way, but want it, then God will understand. Yet almost all the time, God will help you do it. Don’t tell me you love Him if you don’t care at all what He says. I once read a story of a man who survived a blast which blinded him. He tried Braille, but the nerves in his fingers wouldn’t cooperate. Accidentally, he touched the Braille markings with his tongue and discovered he could actually read that way. At the time the report was written, he had read through the Bible several times with his tongue. What then is your excuse? We all love to talk about how busy we are, as a matter of self-worth. If we can sigh and say, “I’m really busy,” then people think that we are important. But it’s a lie to say we are too busy for God. You always manage to get done what you want to do. I’m right about this since you still eat food. Because hearing from the God of the universe is far more important than physical food, surely you can work Him in. If you don’t work Him into your life now, He’ll work you into hell later. How you use time says a lot about what is really important to you. Heaven isn’t for people who don’t have time for God. My wife is a busy woman, but she has learned to listen to the Bible on Mp3. Recently I found that she has listened to Romans over 100 times! As she works with her hands, she listens. When she goes to bed, she listens. When she wakes in the night, she listens some more. Before she gets up, she often listens again. Admit it. You don’t take in the Bible because you don’t want to. It’s frustrating to have to read what you don’t understand. For instance, if you were to put a scientific manual before me to read every day, I would groan. What is one person’s weed is another person’s flower. I get that. It can help to obtain a translation of the Bible that reads well. I know there are those who say that only the 1611 King James Version is right, but really, isn’t the point to comprehend it? That’s a good translation, but it was a modern one in the early 1600s.I like either the New American Standard Bible or the English Standard Version. 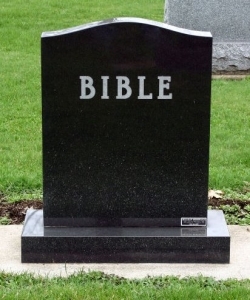 And while you are waiting for that Bible to come through the mail, read it for free on the computer. There are many sources, such as BibleGateway.org. Beyond this, realize that no one understands the Bible completely. God makes sure of that. What I mean is, the Bible never gets old like other books because it is written in such a way that you can gain from it at many levels of maturity. I’ve read it for 50 years and am more interested in it now than ever! Start with the story books, such as Matthew, Mark, Luke, John, and Acts. By the time you have read those, you’ll be up and running and will find the others more accessible. However, you have to have some level of understanding if you are a Christian at all. To you, Jesus said, “For whoever has, to him more [understanding] shall be given, and he will have an abundance; but whoever does not have [understanding], even what he has will be taken away” Mt. 13:13. I can only say that this is more a sign of an unbeliever than a believer. You said, “I find Christ so appealing that I’ve given Him my life—my entire future!” It’s hard to believe that what is from Him would be of no interest to you. So, again, you first must examine whether you are really a believer at all. To test that, see if first pushing yourself to dip into the Bible helps you get started. Ever watched a child getting into a pool to swim? At first, he sticks his toe in and runs away. He’s sure he doesn’t want to do it. But, with some encouragement, he takes another step into the pool, then another. After a little while it is difficult to get him to want to come out! So it is with the believer who needs a push to test if God’s words are what he will really love. So then, read your Bible, and kill your excuses, even if you have to start your reading at only ten minutes every day. Copyright © 2012 Jim Elliff. >What if You Fall Back in Love With This Present Age?